Toast was created in 2007 when Amy Russo Harrigan decided to bring her mantra “Peace, love, pancakes” to life, in the form of a delicious and stylish breakfast spot. While it has become renowned for its ability to provide light, unique dishes, the restaurant invokes many of the feelings that New Jersey’s traditional breakfast havens, diners, so desirable. There is comfort and camaraderie to be found within the walls of 700 Bloomfield Ave.
Toast has found a way of blending traditional breakfast and lunch meals with their own distinct style. From wholesome and healthy steel cut oatmeal to the daring and delectable red velvet pancakes, it puts a very respectable amount of care and passion into each dish. Ask around enough, and you will discover that this is an opinion shared by all that attend the nearly ritualistic migration of Montclair residents to Toast in the mornings. The design of Toast as a restaurant is rustic, homey and very complimentary to the style of food that is offered. The employees are stylish and amiable, attributes that could perhaps seem trivial until you consider how well it works as a whole operation. There always seems to be a light in the place, whether it is flooding in from the windows, emanating from the happy customers, or radiating from the food that is yearned for so dearly. 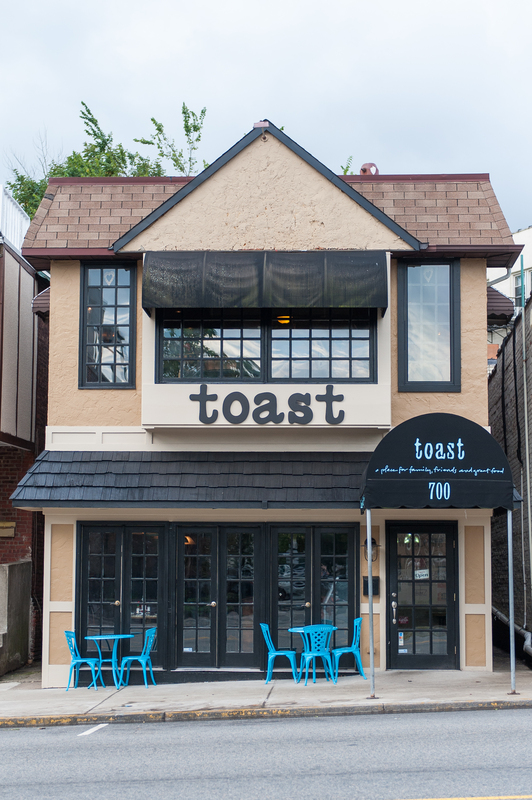 For a mouth-watering breakfast or lunch meal, head to Toast at 700 Bloomfield Ave. They are open seven days a week from 7:30 a.m. to 3 p.m.
One Response to "Toast: Montclair’s Brilliant Brunch Community"